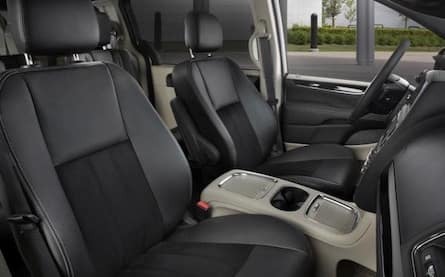 For those Contemporary Chrysler Dodge Jeep RAM shoppers who are searching for a powerful and family friendly ride, the 2017 Dodge Grand Caravan near Nashua is everything you want and more. With a powerful 3.6L Pentastar® V6 Flex-Fuel engine, which kicks out a powerful 283-horsepower, the kids will never be late to practice again. All-Speed Traction Control, load-leveling, and height-control features give drivers all the control they need, making sure each ride is a safe and enjoyable one. The 2017 Dodge Grand Caravan has that “look good, feel good” mentality at our Nashua area Dodge dealer. Featuring quad halogen headlamps, available fog lamps, and LED taillamps, this 2017 model makes a lasting first impression. 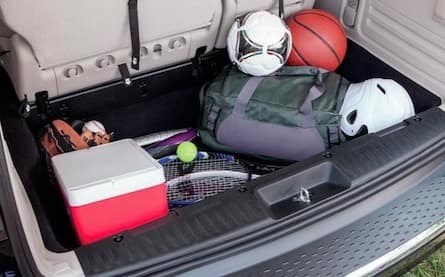 Available power sliding doors and power liftgate makes it easier for drivers to get in the car and pack the trunk when their hands are full. When Dodge shoppers near Nashua step inside the car, their eyes will light up like the Fourth of July. Fitting the whole family and then some shouldn’t be a problem with seating up to seven. Even when the seats are packed, the generous cargo space has plenty of room for your other precious cargo. Dodge drivers never have to worry about being out-of-the-loop again. Features such as SiriusXM® Satellite Radio, available Uconnect® Voice Command and Hands-Free Calling, and the available Single DVD Entertainment System ensure that both drivers and passengers are able to make the longest of car rides fly by. For the times you want to explore, the available Uconnect® Navigation is there for you with turn-by-turn directions. There is never a dull moment in the 2017 Dodge Grand Caravan, and both passengers and drivers are sure to fall in love.  Contemporary Automotive wants nothing more than for our customers to be happy and safe when they get behind the wheel of a 2017 Dodge Grand Caravan. Built around a high-strength steel structure, this safe house also has seven advanced airbags, active front seat head restraints, and crumble zones to make sure all occupants are protected. The Lower Anchors and Tethers for Children (LATCH) System keeps the kids safe as well, ensuring the child seats are set up properly. For more information about the 2017 Dodge Grand Caravan, contact Contemporary Automotive at (844) 500-6722 to schedule a test drive.